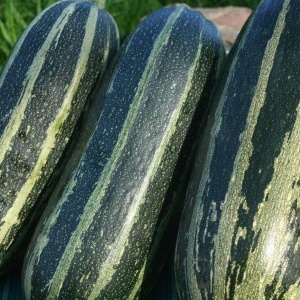 Tozer Seeds have been breeding marrows for over 40 years and are the only seed company to have bred hybrids including the most widely grown varieties such as Tiger Cross and Zebra Cross. 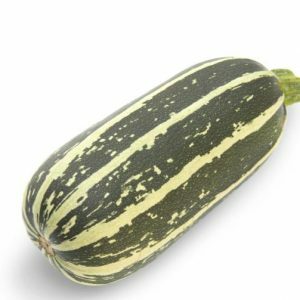 Our primary focus has been to reinvent the marrow by developing smaller fruit varieties like Piccolo which are great for stuffing and shorter fruits like our Bush Baby variety which can also be harvested as a baby marrow. The first hybrid marrow bred by Tozer Seeds. Replaced Cobham long bush and is earlier, more prolific and more uniform. 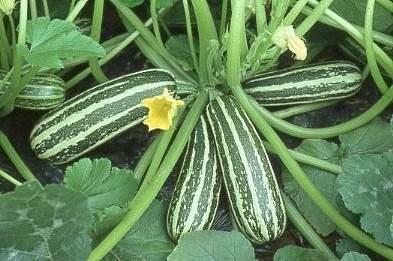 Attractive dark green and cream striped fruits.